Arsenal manager Unai Emery reportedly has no trust in Mesut Ozil and is prepared for the club to sell him in this January’s transfer window. The German playmaker has not been as much of a regular in the Arsenal XI this season, and it seems his future at the Emirates Stadium is in some doubt. 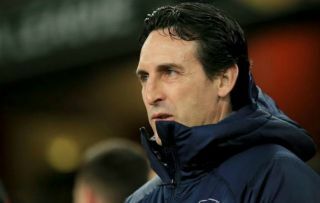 Being Arsenal’s highest earner on £350,000 a week, freeing up those wages could certainly be useful for Emery as he seeks to offload Ozil to also raise transfer funds to strengthen other areas of his squad, according to the Daily Mail. Some Gunners fans would no doubt be disappointed to see Ozil go, as he has shown himself to be a world class number ten on his day, despite his inconsistency and lack of work rate. In the right system, Ozil has shown he can be one of the best creative players in the world, but it does now increasingly look like his Arsenal career is over. Mesut Ozil heading for transfer away from Arsenal? The Mail do state, however, that, for the moment, the 30-year-old has not attracted any concrete interest. Those aforementioned wages could no doubt make it hard to get Ozil off their books as a number of clubs would most likely be reluctant to give a player like him, at this age, that kind of money.